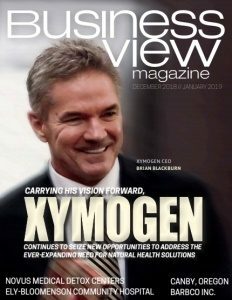 Business View Magazine interviews representatives from Lewes, Delaware, as part of our focus on resiliency of American towns and cities. As the town that is known as “The First Town in the First State,” Lewes, Delaware, has a long and storied history. Lewes was the site of the first European settlement in Delaware, a whaling and trading post that Dutch settlers founded on June 3, 1631 and named Zwaanendael (Swan Valley). Unfortunately, the colony had a very short existence, as the local tribe of Lenape Native Americans wiped out its 32 members, the following year. In 1663, a group of Mennonites established a new settlement at Hoernkills, the area around Cape Henlopen, near the current town of Lewes, but their colony was quickly destroyed by British troops, who also attacked and burned down yet another Dutch settlement in 1673. In 1682, the Delaware colonies were given to William Penn by English King Charles II, in payment of a family debt. When Penn arrived in the New World later that year, he renamed the county as Sussex and the Hoernkills settlement as Lewes, in commemoration of sites back in England. On April 5 and 6, 1813, during the War of 1812, British naval vessels led by HMS Poictiers, under the command of Captain Sir John Beresford, briefly and ineffectually bombarded the town. A cannonball from the bombardment is lodged in the foundation of Cannonball House, which now serves as the town’s maritime museum. Lewes was incorporated by an act of the state assembly on Feb. 2, 1818. In the years leading up to the American Civil War, Lewes became an important stop on the Underground Railroad, where fugitive slaves from the south could find sanctuary. In 1941, the United States built Fort Miles on Cape Henlopen, immediately south of Lewes, to defend Delaware Bay and the Delaware River, and the oil refineries and factories on its shores, as well as the city of Philadelphia. It was one of the largest and most heavily armed coastal fortifications ever built. Fort Miles never saw any major action; except for range practice, it fired its guns only once between its establishment and the end of World War II. Fort Miles ceased operation altogether in 1991 and was deeded to the State of Delaware. 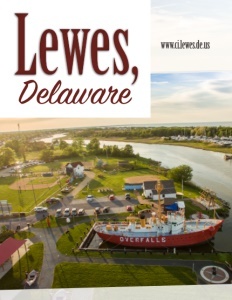 Today, the small city of Lewes, located at the mouth of the Delaware Bay, where it meets the Atlantic Ocean, is home to approximately 3,000 year round residents, made up mostly of retirees and second home owners from the larger metropolitan areas of Baltimore, Washington, Wilmington, and Philadelphia. 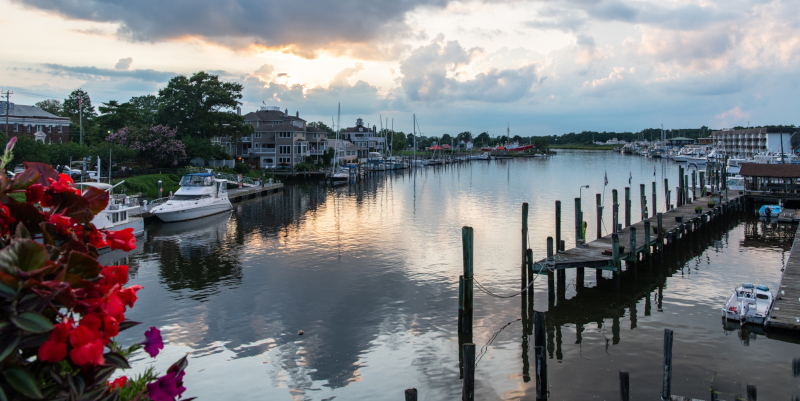 The population swells during the summer months as tourists flock to enjoy the protected waters of the town’s beach, the 4,000-plus acres of preserved lands in Cape Henlopen State Park, and the many beautiful old buildings in the town’s historic district. Lewes is also an “amazingly engaged community,” adds Mayor, Ted Becker. 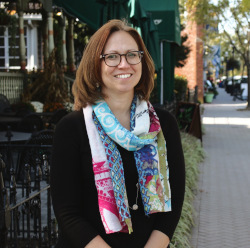 “People who have been here care deeply about the community, and people who have come here, whether it was to retire or relocate, have really bought into the community with their time and talent. So, consequently, we are able to offer a quality of life that the city budget could not possibly accomplish. We would not be the town we are without our volunteers. Meanwhile, maintaining and upgrading the city’s current infrastructure is also important. 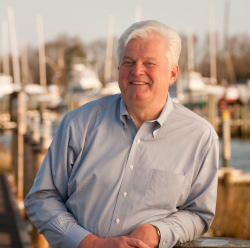 “Our sewer, water, and electric are managed by the Lewes Board of Public works, which has a separate charter under the state, and their Board members are separately elected from our Council,” Townshend explains. Some of the major infrastructure projects include a major sewer line replacement in the downtown, a sewer expansion to accept sewage from the neighboring county’s sewer district to be treated in the Lewes plant, and the extension of sewer to a neighborhood annexed into the City that is currently served by on-site septic systems. In this project, the Board is also upgrading the streets to current standards. Check out this handpicked feature on Poughkeepsie, New York – Business-friendly urban vibe. SPI Pharma proudly celebrates the 50th anniversary of our Lewes, Delaware site in March 2019. Lewes manufactures antacid actives for the immediate relief market. It is the only facility in the world that extracts magnesium out of seawater for use in antacid active manufacturing. It is this type of innovation that drives the business. SPI Pharma purchased the antacids business, formerly known as Barcroft™, from Rohne-Poulenc Rorer in 1998. Pharma and nutraceutical companies use ingredients from SPI Pharma to provide convenience, compliance, safety and efficacy to patients globally. Our product offering includes antacid actives, excipients, drug delivery systems, taste masked actives, vaccine adjuvants, and drug development services. We can make finished drugs work better and solve customer formulation challenges. For more information about SPI Pharma and job opportunities, visit our website www.spipharma.com or follow us on social media: LinkedIn, Twitter (@spipharma_real), and YouTube.